Sometimes unexpected partnerships lead to amazing results. 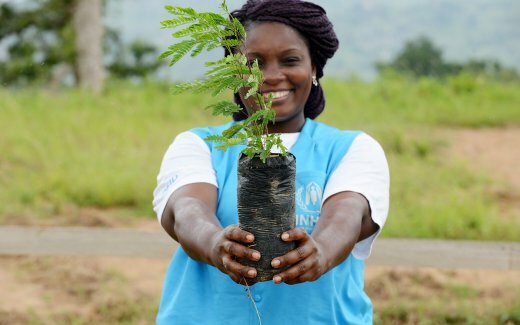 Since 2017, the world’s largest humanitarian aid agency the UNHCR (United Nations Refugee Agency) and Land Life Company, supported by the Dutch National Postcode Lottery, have joined forces to build a Green Refugee Camp in the Far North of Cameroon. 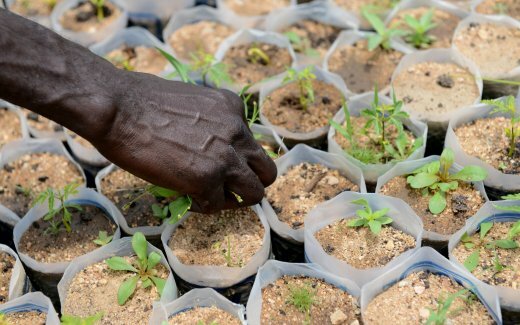 Together with refugee and local communities, we have reforested more than 100 hectares of severely degraded land in and around Minawao Refugee Camp where 63,000 refugees live fleeing violence in neighbouring Nigeria. This initiative is providing jobs, shade, health and food for hundreds of refugee and local families. 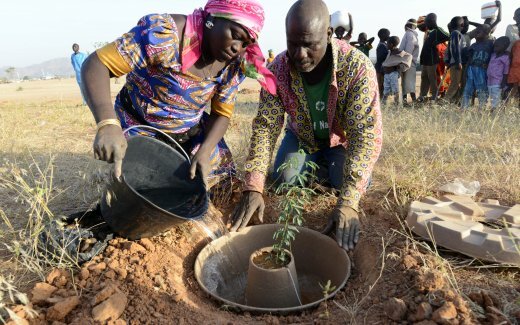 In Minawao, we are going beyond planting trees. Wood is being replaced as a fuel source with eco-friendly cooking alternatives produced in the camp. And sustainable, locally-sourced shelters are replacing plastic tents. Find out more about this inspiring project at www.itwillbegreenagain.com. Check out our award-winning short documentary about the families living in Minawao, what brought them here and how they are building a more hopeful future for their children. 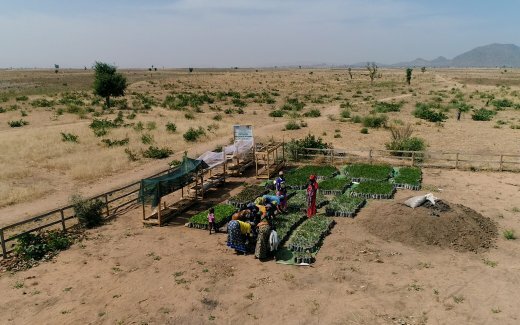 Using drones and satellites we can track the reforestation impact around Minawao Camp in Northern Cameroon. As biomass increases, temperatures will drop and erosion will decrease. Harrie and Charlotte talk about their experiences in Cameroon planting thousands of trees with refugees.